November 3, 2018 By David A. A Pac-12 matchup featuring the Stanford Cardinal visiting the Washington Huskies highlights the Week 10 Saturday night lineup of college football. Last week Washington quarterback Jake Browning was benched during the game, but Browning will start for the Huskies Saturday. The all-time leader in passing for Washington struggled in the Huskies loss on Saturday to California 12-10. Browning was replaced during the third quarter versus Cal and Jake Haener, who took over, threw a pick-six on just his second pass of the game. The Huskies and Browning might end up in a shootout with the Cardinal and the Washington defense must be ready for Stanford’s new no-huddle offense that it ran for much of last week’s loss to Washington State. Stanford lost to the Cougars 41-38, but quarterback K.J. Costello was impressive in the loss with 323 yards passing completing 34 of his 43 attempts and connecting for four touchdowns. 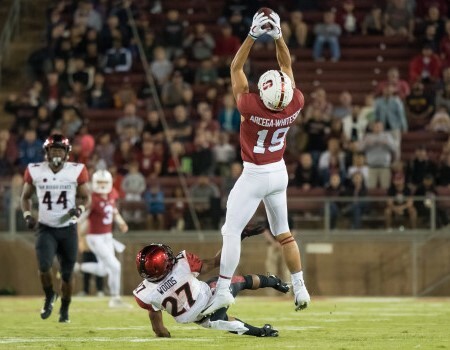 Stanford’s aerial attack against the Cougars featured JJ Arcega-Whiteside early and often. The Cardinal wide receiver caught 11 passes for 111 yards with two touchdowns. Teammate Trenton Irwin had eight receptions for 80 yards while Kaden Smith, the talented tight end, caught nine pass for 113 yards and one touchdown. Stanford running back Bryce Love has an injured ankle and is day-to-day. 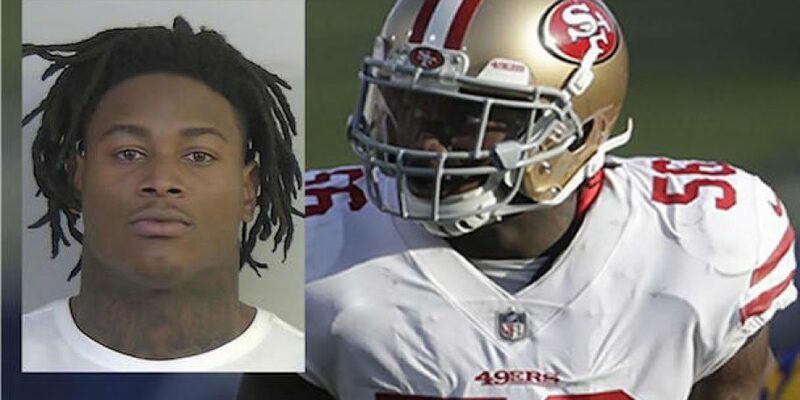 His lack of playing last week was a factor in Stanford’s loss. Last season Love rushed for 165 yards against Huskies helping the Cardinal to a 30-22 victory. The Stanford defense has given up an average of 275 yards passing per game, which is the worst in the Pac-12. Washington may receive a big boost on the offense from Myles Gaskin. The star running back has missed two straight games due to an injured shoulder but is hoping to return for Saturday’s game. Defensively, the Huskies are the Pac-12 leader in points allowed at 15.2 per game and lost last week to Cal despite not giving up an offensive touchdown. 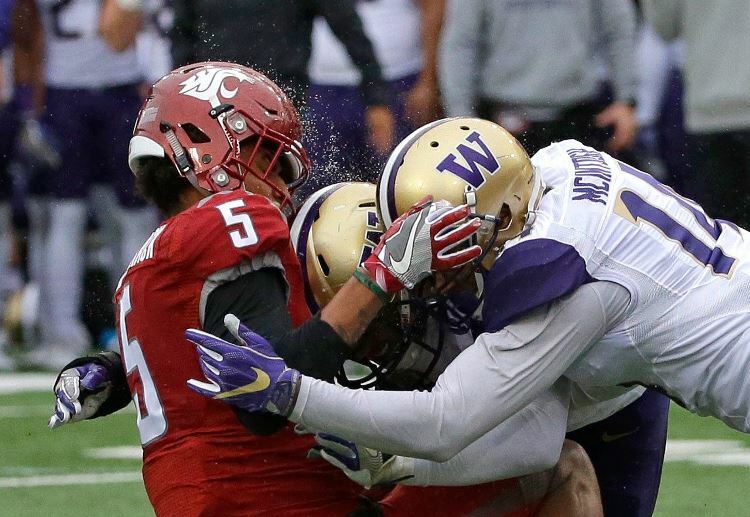 The Huskies defense has given up only five plays through nine games of 30 yards or more, which is tops in the country. This may turn into a shootout especially if Love cannot play due to his injury making the Cardinal use the no-huddle offense on a regular basis. However, Washington is superior on offense and much better on defense. Take the Huskies (-10) less to the points to bounce back strong with a big performance from Jake Browning.